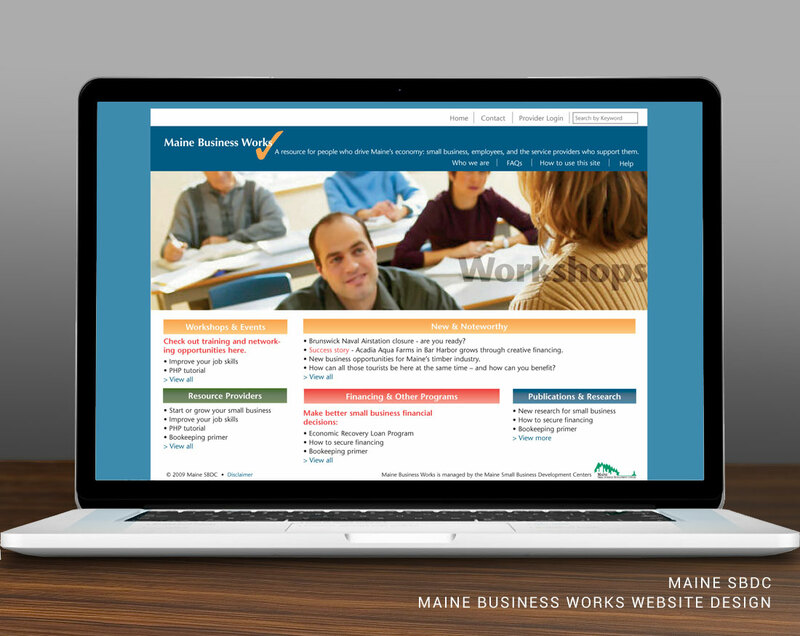 The Maine Small Business Development Center (Maine SBDC) is a state-wide agency that provides business counseling, training, and support for small businesses and entrepreneurs. 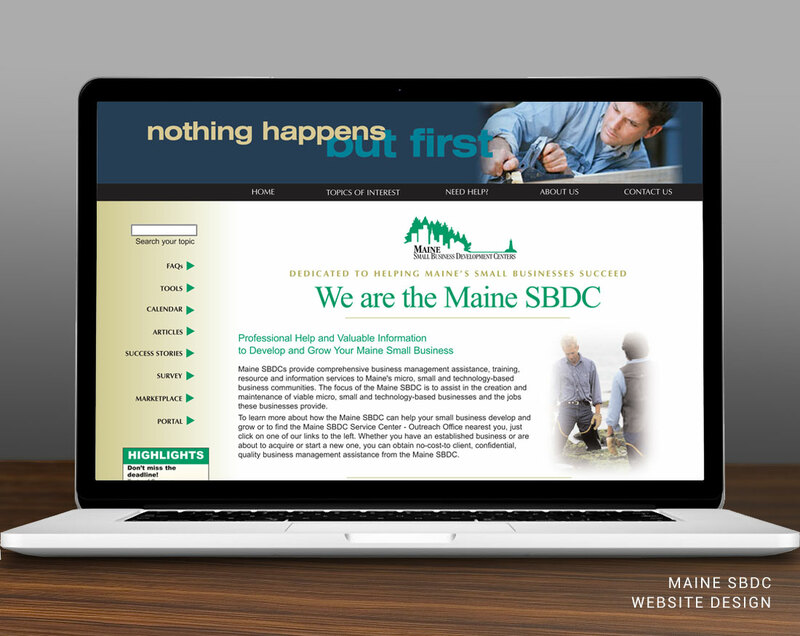 Working with Maine SBDC as a long-term client over many years has given us the opportunity to spread the word about their programs and services across the full range of media. 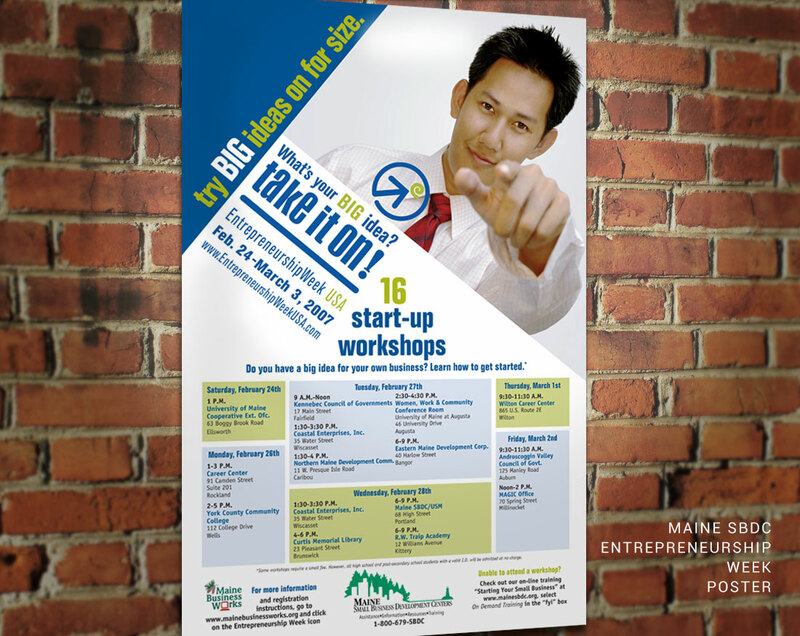 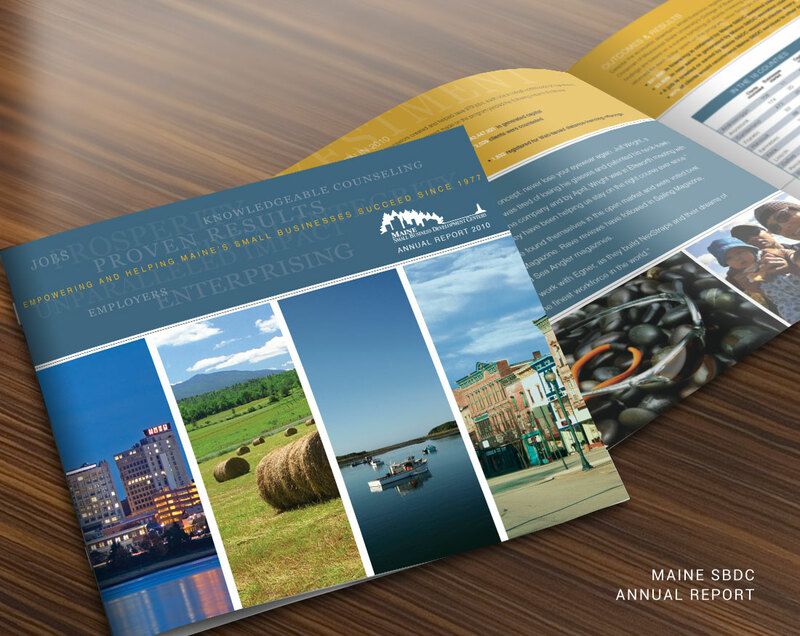 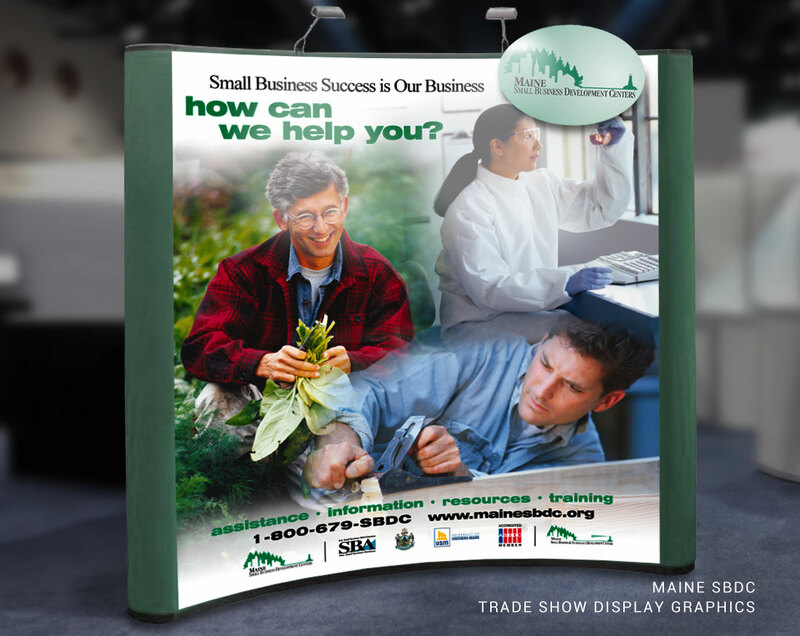 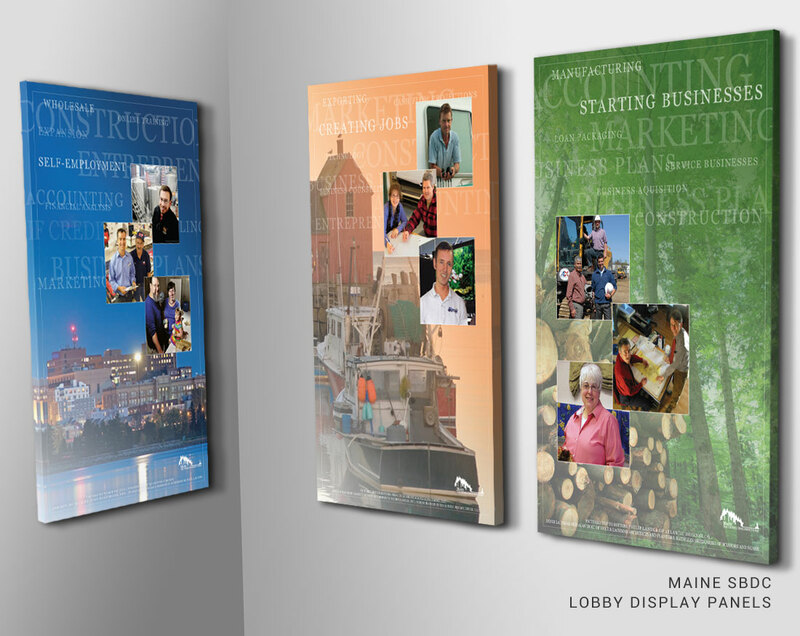 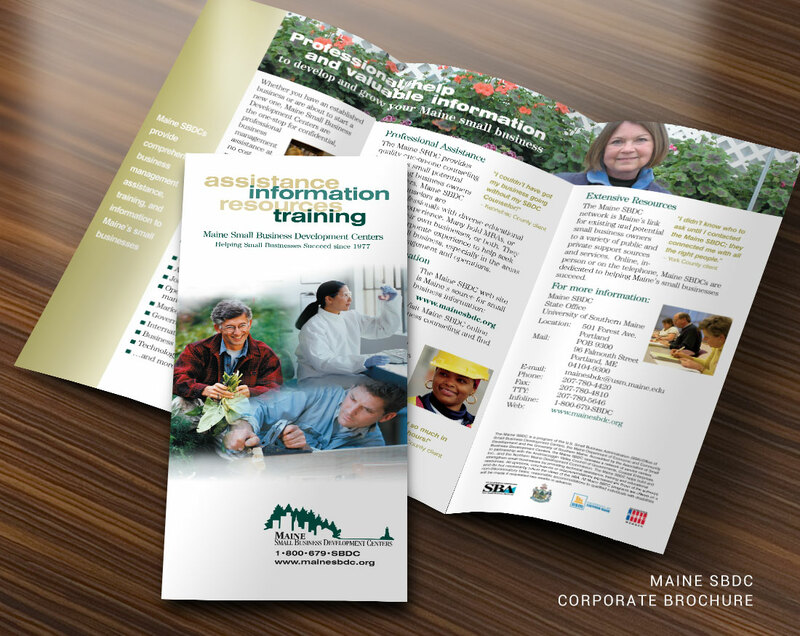 From annual reports and brochures to website design and display graphics, we’ve helped Maine SBDC help small businesses grow.